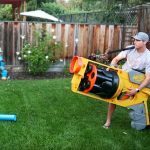 While most grown ups continue to enjoy NERF toys as they are, some took it to the next level with mods. Mods are cool which makes the whole NERF experience a little more, how do you say? Intimate? Something like that. I did some myself to a good’ol Maverick Rev-6, but they are just basics. 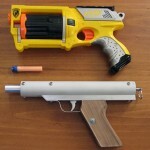 In fact, many mods are because there’s really this much you can do with a stock NERF blaster. 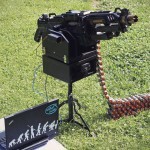 But leave it to the geeks and you will see some pretty dope high-tech mods like the NERF Vulcan Sentry Gun some years ago. Sentry, as the name suggests, is a NERF robotic guard that protects your fort autonomously. It was good and all, except that it could not differentiate between friends from foes. 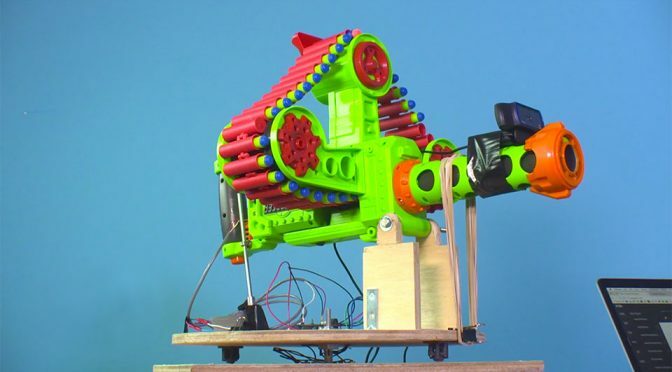 The Raspberry Pi-powered NERF Blaster you see here, however, can. Built by software developer n.io (pronounced as “neo”, in case you are wondering), this particular dope-to-the-core NERF mod leverages on n.io-powered Raspberry Pi and the developer’s new computing platform (running on a MacBook) to ID faces using a USB webcam crudely duct-taped to the top of the barrel and referencing it to the database before deciding if it should engage the subject. It is way better than ID-ing logo. Though we are not quite sure how fast it will take from identifying the target to engaging. It is also not clear how quickly can the blaster move to place the subject within the frame. Speaking of which, the build also include a Raspberry Pi HAT which controls a pair of motors that affords the vertical and horizontal swivel motion. 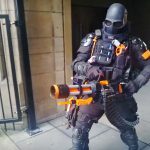 As a safety precaution, n.io built facial recognition NERF Blaster is not programmed to make headshots. Instead, it will tilt downward so that there will be no risks of hitting the target’s face. You can take a look at the demo below to see how it works.